Barracuda Networks has increased the support it can offer managed service providers after launching a series of bundles that should make it straightforward for partners looking to add some security services. The vendor's MSP Solutions business has rolled out the Essentials for Office 365, which includes email security, backup and archiving bundles that should appeal to those selling into hosted application environments that are looking to add a little bit extra. Office 365 is celebrating its fifth birthday and has been making a real impact in the corporate space but it continues to still provide resellers with a chance to add on extra services, including security. 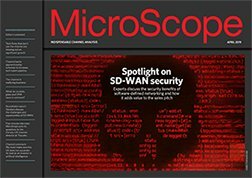 “With the recent rise in targeted email threats such as phishing and email-borne ransomware, MSPs need to take a more holistic approach to data protection by offering not only backup services, but also specialised email security,” said Jason Howells, director EMEA, MSP Solutions at Barracuda. He added that the resellers selling Office 365 would benefit from being in a position where they could add more functionality to protect user's data. One of the first partners to sign up, Ziptech Services, has already seen some benefits from offering more bundled services. "We’ve reduced our administrative overhead and greatly enhanced the security and compliance capabilities that we can offer existing and prospective customers,” said Perry Bowles, technical director at IT service provider Ziptech Services. As Office 365 enjoys its birthday the option of providing additional services is something that others in the channel are also keen to highlight. Nigel Hawthorn, Skyhigh Networks chief European spokesperson, said that Office 365 had been a hit with corporate customers but there were still security concerns. “Great news for Microsoft, but only now are corporate users coming to terms with the security challenges related to putting such vast amounts of data in the cloud, which would’ve historically stayed on site. IT security is often likened to finding a needle in a haystack. Our stats show that the average enterprise now has 5.5m trackable events taking place in Office365 each month, less than 3 of which are real threats. That's a very small number of needles in a very large haystack, one which is only getting bigger," he said. “Microsoft takes ownership of platform security, with security features second to none, but O365 customers themselves are responsible for the safe and compliant use. IT needs smart analytics that can cope with huge volumes of data to ensure they find the two or three incidents that could be catastrophic," he added.